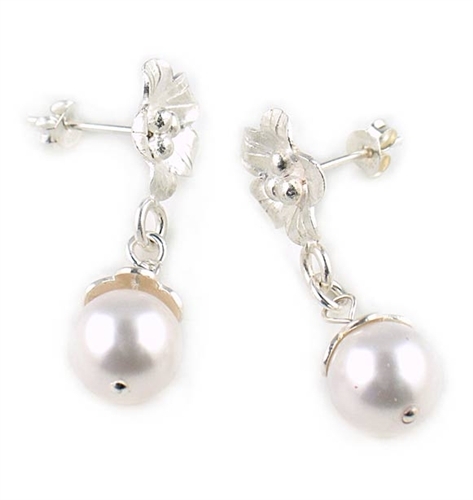 Sterling silver drop earrings by Chou. These elegant designer earrings feature a 13mm flower design post with a dangling 10mm Swarovski white pearl. Earrings drop 3.7 cm (1.4"). A timeless piece of designer jewellery perfect also for the bride to be. Available exclusively in the UK from the Farfallina Online Jewellery Boutique. Length: 3.7 cm / 1.4 "